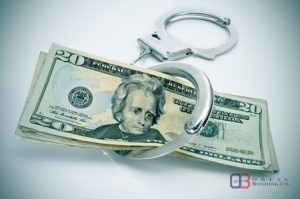 Have you been arrested for a misdemeanor charge in Kansas and cannot afford the price of bail? Contact the bail experts at Owens Bonding Co. for misdemeanor bail bonds in Wichita, KS today! Call us 24 hours a day at 866-830-2663 for help! Similar to many other states, Kansas divides misdemeanor crimes into various classes with varying severity levels. You might be charged with a Class A, B, or C misdemeanor, or an unclassified misdemeanor. Class A is the most serious level, which can earn you up to one year in jail and up to $2,500 in fines. Unclassified misdemeanors are those that have not been distinguished as any other class, and usually carry the same punishment as a Class C misdemeanor. Some misdemeanor crimes include possession of marijuana and battery. However, these crimes can be elevated to a felony if the crime was particularly severe or you have past offenses. In many cases, misdemeanor charges have low bail prices. You might even be offered a personal recognizance bond. This involves a written agreement and no payment (unless you fail to show up for court). Also referred to as appearance bonds or own recognizance (OR) bonds, they are sometimes available to first-time offenders for a minor misdemeanor. If you can’t afford bail, though, you can get financial assistance with a bail bond. Contact the professionals at Owens Bonding Co. for misdemeanor bail bonds in Wichita, KS! Whether you bail is set at $100 or $5,000, we can help you get out of jail for less. Most bail premiums only cost you 10 percent of the full price of bail. With more than 35 bail agents serving over 75 counties in Kansas, Owens Bonding Co. is available for you. Whenever, wherever you need us, our agents are only a call away. Whether you need misdemeanor bail bonds in Wichita or elsewhere, we can help. You can always count on professional, courteous service and confidentiality from our bondsmen. Call us today at 866-830-2663 for misdemeanor bail bonds in Wichita, KS. Updated on February 13, 2017 at 4:45 pm by Owens Bonding Co..